Framed & Mounted Prints. Our standard contemporary frame design is modern with clean lines. The matt archival print is kept away from the glass with an off-white archival mount and framed in a moulding from our standard selection. Larger sizes are dry mounted to maintain a nice flat finish while smaller sizes have archival barrier boards for print protection. Hangs just like any other picture. No complicated precision drilling required. Fixings provided as standard. Printed with pigment "lifelong" inks using a ten colour printing process to create vibrant colours while maintaining subtle tones and gradients. Available in a variety of sizes for the perfect fit and for every occasion. Your satisfaction is very important to us, so we quality check all our products at every stage and offer a 30 day guarantee. 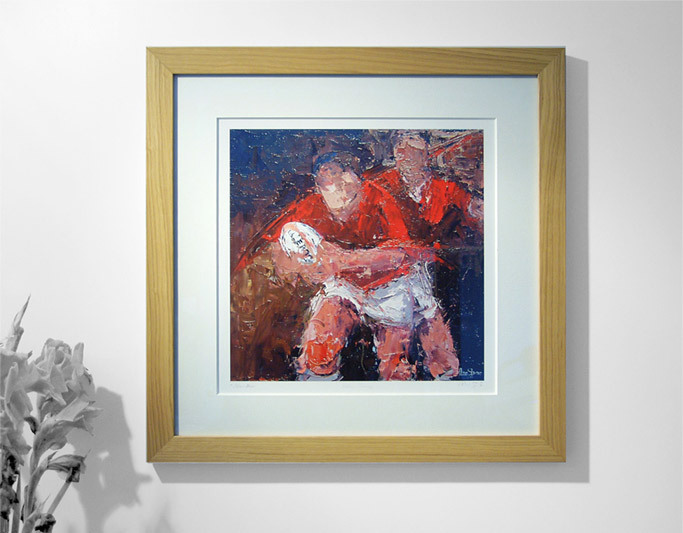 Create your personal one-off art piece with your own digital image onto our exciting Framed & Mounted Prints. one-off art piece delivered within seven working days. An email proof before production is available. All our gallery images are available as Framed & Mounted Prints. Shop now to find the perfect panel for you.